The Kokopelli is vitally significant to tribes located in the Southwestern part of the US. It is known for presiding over childbirth, fertility, and is a trickster god. The Kokopelli is seen playing a flute which depicts the musical side of each tribe. These earrings are handcrafted in the traditional Native American fashion by renowned Navajo artist and Silversmith, the late Tommy Singer. 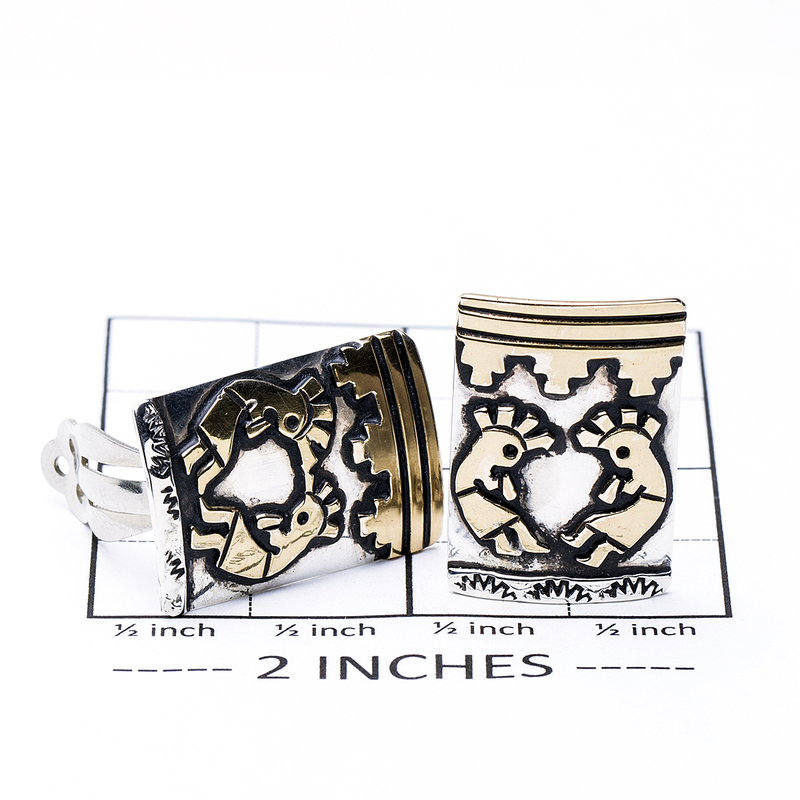 Earrings measure 1″ in length by 3/4″ in width. Hallmarked “T. 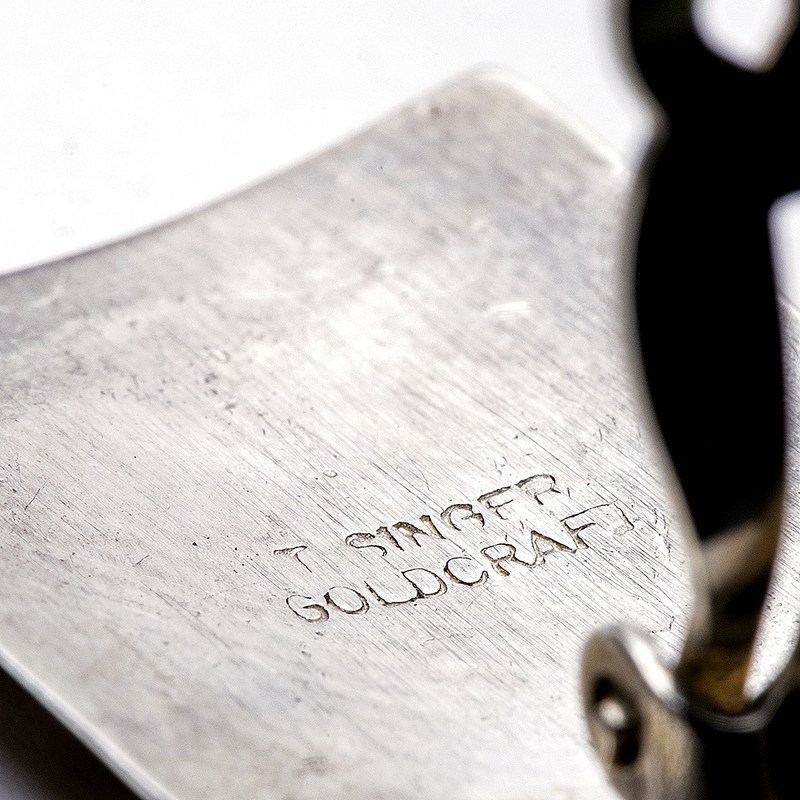 Singer” and “Goldcraft”. Earrings weigh 7.7 grams. 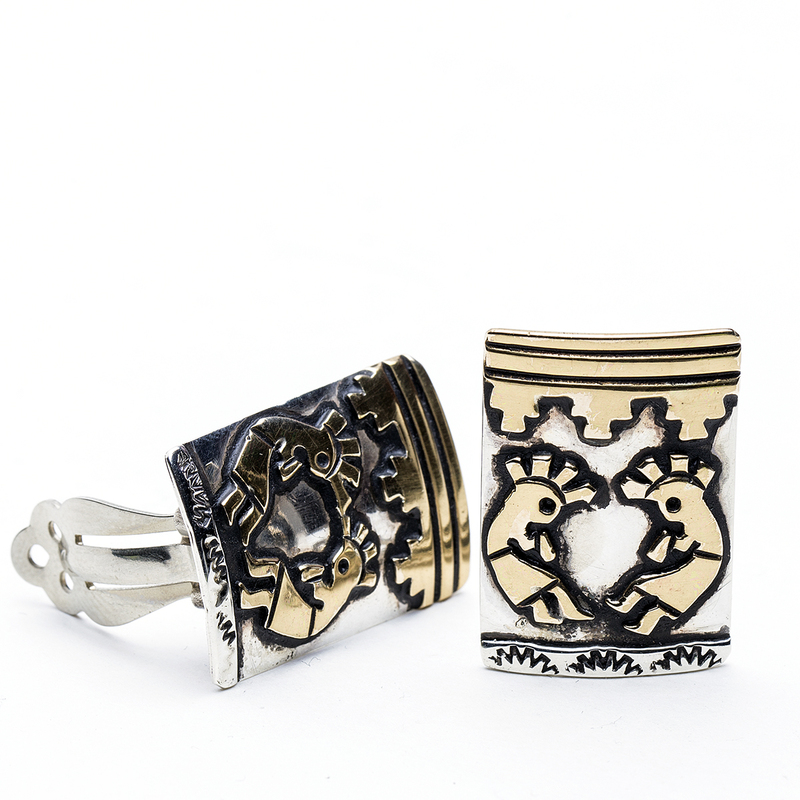 These are clip backs, but we can convert them to posts or dangles. We also offer free gift wrapping with each purchase. Navajo artist T Singer Kokopelli Earrings are handcrafted in Sterling Silver to bring out the brightest display of traditional Navajo symbolism possible.